Chipperfield's Circus - a Memory of Great Wishford. 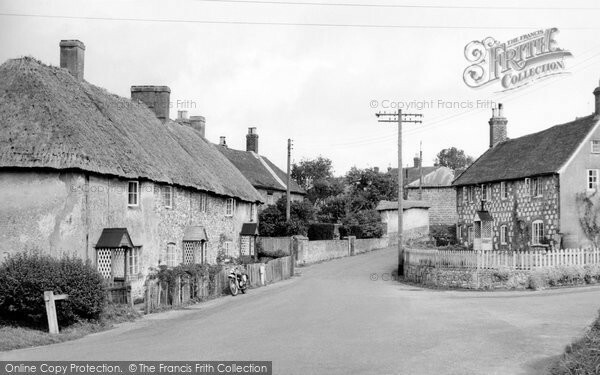 In fact these are not Lotmore Cottages, which were along the road that leads to the River Wylye, immediately left in the photograph past the front of the Royal Oak pub on the left, about 50 metres down on the right. I know this because I lived in Lotmore as a small boy, in the first of two semi detached cottages. There was a hilly field opposite that led up towards Grovely Wood. Chipperfield's Circus used to rest in this field when not on the road. Sometimes there were elephants there. Old Mr Chipperfield made me a wooden dog on wheels which we called Chipperdog. Lotmore was demolished many years ago and some late 50's council houses now stand on the site. A memory shared by Chris Rawlence on Nov 27th, 2006. Send Chris Rawlence a message. Add a memory of Great Wishford.